A crowd in rain gear gathered at the site of the Tesla’s future factory in Shanghai on Jan. 7. 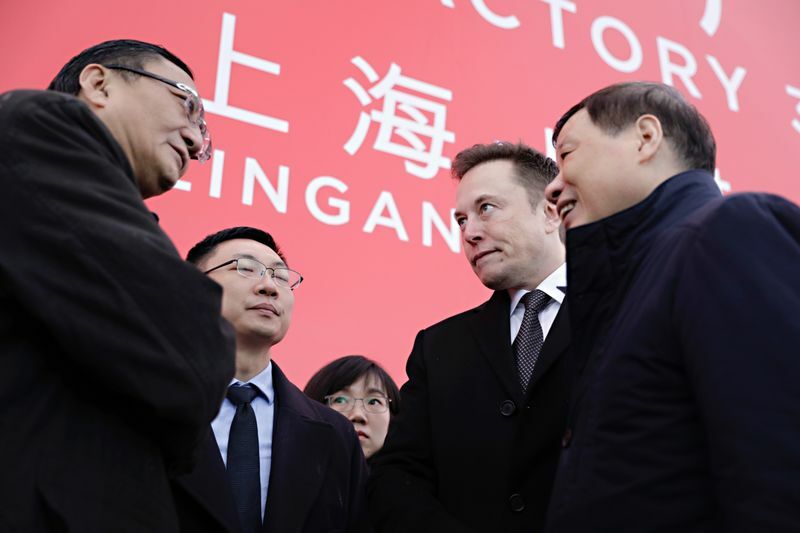 A ground-breaking in Shanghai attended by Tesla Chief Executive Officer Elon Musk last week marked what will become the first factory in the nation entirely owned by a foreign automaker. In Tesla’s Silicon Valley neighborhood, meanwhile, there are now about a dozen electric automakers with Chinese owners or backers setting up shop or recruiting Musk’s former co-workers. These well-funded startups, some of which haven’t sold a single car, are buying up factories, testing prototypes on public roads and kitting out lavish offices in the San Francisco Bay Area. Landing a former Tesla executive has become a top prize. 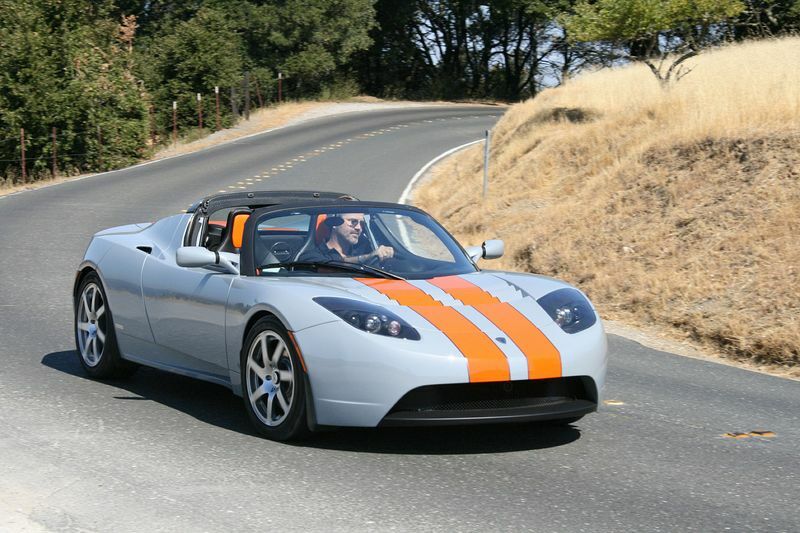 Martin Eberhard in his Tesla Roadster. “Everybody wants to be the next Elon Musk — the Chinese Elon Musk,” said Martin Eberhard, a co-founder of Tesla back when it was called Tesla Motors. He served on the board of Chinese EV maker SF Motors Inc. after it bought his post-Tesla startup. The king of touting ex-Tesla hires is Faraday Future, a startup founded by former Chinese billionaire Jia Yueting that began work last year in a refurbished tire factory in Hanford, California — about 200 miles from Tesla’s Fremont plant. A search of LinkedIn shows more than 70 Faraday employees listing Tesla as past work experience — though not all of them remain after recent departures — and Faraday often boasts of “top talent” hires like Jeff Risher, the former head of Tesla’s intellectual property and litigation. 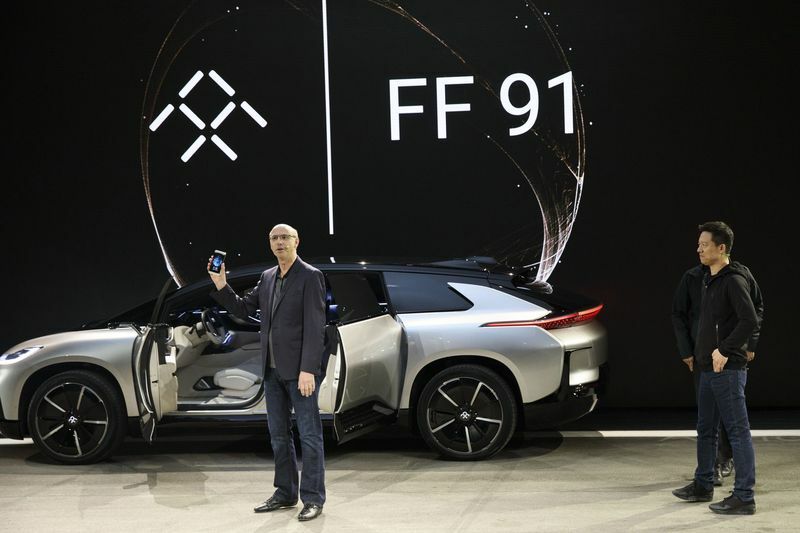 Faraday’s Jia Yueting, right, and then-senior vice president Nick Sampson unveil the FF91 in Las Vegas in 2017. Byton, a Tencent Holdings Ltd.-backed startup that recently raised $500 million, hired former Tesla executive Tom Wessner as senior vice president of global supply chain and, for extra Silicon Valley sheen, snapped up former Apple Inc.designer Jeff Chung. Byton, the brand of Future Mobility Corp., has an office in Santa Clara, California, and a new artificial-intelligence lab in Los Angeles, where it employs engineers for research and development. SF Motors’ SF7 electric car at the company’s showroom in Santa Clara, California. Source: Company websites; Note: Locations include offices and factories. Poaching Tesla talent is getting easier since Musk’s company swelled — he tweeted in October that “the Tesla team” included 45,000 people — and tends to shed senior executives and other workers with regularity. Lucid Motors Inc., partly backed by Beijing-based Tsing Capital, hired Tesla’s former vice president of vehicle engineering, Peter Rawlinson, as chief technology officer; moved into bigger facilities just across the bay from Tesla’s factory; and raised$1 billion from Saudi Arabia’s Public Investment Fund. 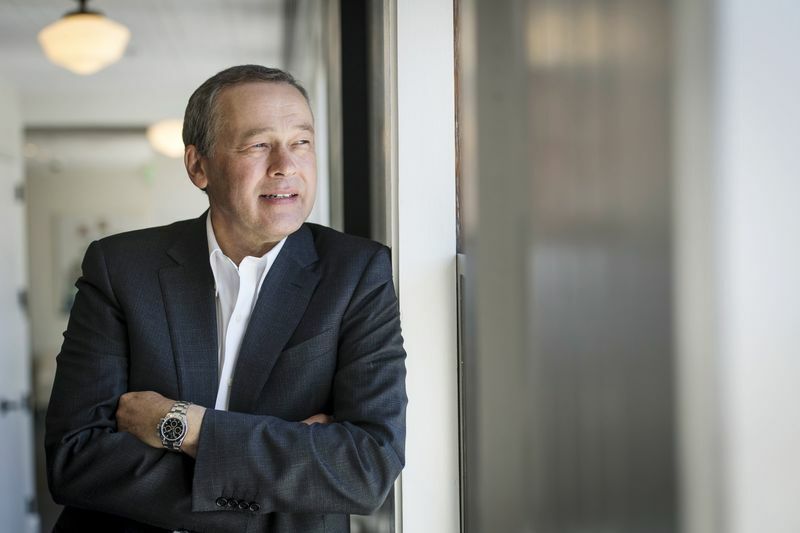 Peter Rawlinson, chief technology officer of Lucid Motors Inc.
XPeng Motors Technology Ltd., a Guangzhou-based EV maker that received more than $900 million last year — including from Alibaba Group Holding Ltd., Foxconn Technology Group and IDG Capital, set up a Mountain View office in Google’s neighborhood. 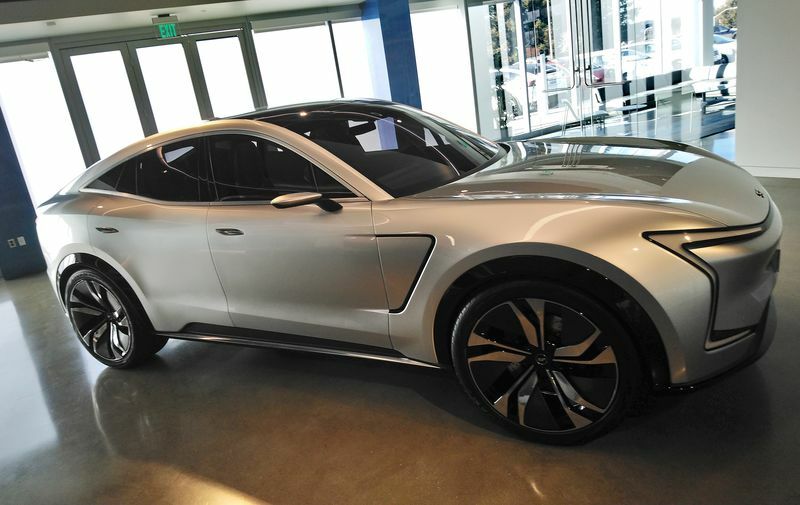 Chairman He Xiaopeng has four Teslas, and the ex-Tesla employees working there include Gu Junli, a machine-learning expert. Shanghai-based NIO Inc. doubled the size of its San Jose office after selling shares in a U.S. initial public offering last year. The company, which said it has delivered more than 11,000 cars to customers, has a market valuation of about $7 billion. LinkedIn shows more than 100 employees with Tesla experience. The company declined to comment on any Tesla connections. 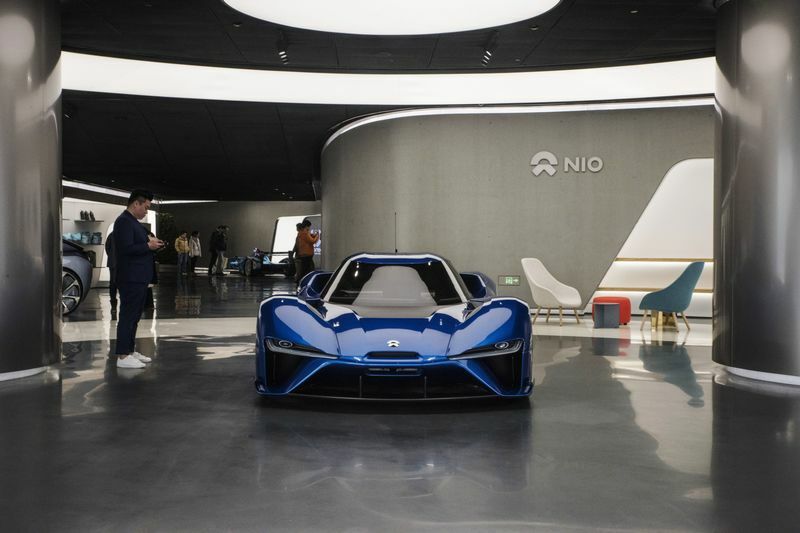 The NIO EP9 autonomous electric vehicle at the company’s showroom in Beijing. Elon Musk, second right, at the ground-breaking ceremony for the Tesla factory in Shanghai on Jan. 7.